Want to join a Yuba Village circle? The application form is HERE. All are welcome! We are practicing an organizational structure and decision-making process called Sociocracy. This practice involves the people affected by a decision in the forming of this decision, aims to make sure everyone’s voice is heard, and distributes power throughout an organization. We are learning how it works and will apply the principles as we go. Above is the current state of our org structure. This is very likely to change. It primarily consists of a set of action circles where most of the operational decisions are made. 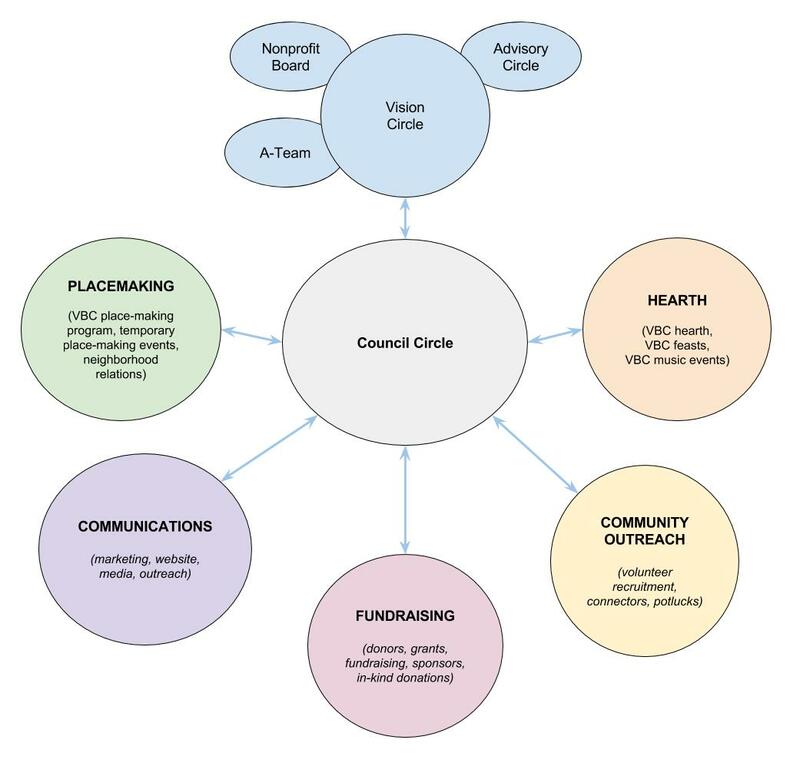 Council circle is a consultative body that is focused on coordinating between the action circles on issues that affect more than one circle. This circle is partially elected from above by the vision circle, and partially from below by the action circles. The vision circle is primarily focused on the big picture, distributing resources to the action circles, and guiding the overall direction of the movement.